March’s pick was The Song of King Gesar, by Alai, translated by Howard Goldblatt and Sylvia Li-chun Lin. I assume you’ve read it; if you need a plot summary see here. I thought this was a wonderfully strange book, an eye-opener on the mysterious, different culture of Tibet. I often felt I was reading it through multiple veils of ignorance: my ignorance of Tibet and its history; of Buddhism; of Chinese. I couldn’t help wondering how much of this book was myth, how much was Alai, and how much, in the English edition, was the translators? The translation flows naturally: Above, the sky was a vacant blue that imbued sorrow and despair with beauty. Lovely. But how closely does that map with whatever Alai originally wrote? Is it a translation, or an interpretation? And does it matter? What do you think? I found it easy to imagine the myths retold in this book being spun by a storyteller round a campfire on the grasslands. Which was fitting since The Song of King Gesar is, I suppose, above anything else, an extended meditation on stories and storytelling in the lives of individuals, and in forging a culture’s identity. It is fantastic that this book has been made available in English, so stories that have helped shape, and still sustain, the inner lives of Tibetans can be widely read – particularly given Tibet’s current troubles. I loved this book’s descriptions of the Tibetan landscape – the vast grasslands, vast skies, and snow-capped mountains – it conveys a compelling sense of place. I also loved learning about the central role of horses in Tibetan life – who could resist the various talking horses? That said, I did in places find this book hard going, partly because I found it difficult to keep all the Tibetan names straight, and partly because my lack of knowledge of Tibetan Buddhism often left me floundering around with questions about the various Bodhisattvas, or getting distracted by irrelevant detail – such as why Guanyin appeared sometimes to be male, and sometimes to be female? However, I did better than either Sarah, or Gao Shang, who both told me they gave up on this book. I didn’t mind the gruesomeness, and some of the writing about the demons I really enjoyed – demons scurrying around in human blood, demons as moles burrowing away under the soil, destroying the link between the earth and vegetation, so: “the pasture grass reached down with its roots and grasped nothing but black emptiness.” It is good to be reminded of the centrality of grass to life, even far, far from the grasslands. If you accept this is a book in part about stories and storytelling, then the interleaving of passages from the storyteller and the story makes sense. I would suggest both Gao Shang and Sarah try again – perhaps with judicious use of skipping? The Selden Map is the most important Chinese map of the last seven centuries, but until recently it has been largely neglected and little understood. Finally unlocking its secrets has completely changed the way we think about the history of China’s relations with the world. This extraordinary map was bequeathed to the Bodleian Library, in Oxford, the UK, in 1659 by John Selden, a London business lawyer, political activist, former convict, MP and the city's first Orientalist scholar. Timothy Brook came across it in 2009, when he saw an object of great beauty, painted by hand and featuring drawings of details such as mountains, trees and flowering plants. He realised he had before him a puzzle that had to be solved, an exceptional artefact, so unsettlingly modern-looking it could almost be a forgery. But it was genuine and - even more incredible - it is one of a kind. What it has to tell us is astonishing: it shows China, not cut off from the world, but a participant in the embryonic networks of global trade that fuelled the rise of Europe - and which now power China's ascent. However it raises as many questions as it answers: how did John Selden acquire it? Where did it come from? Who re-imagined the world in this way? What can it tell us about the world at that time? Like a cartographic detective story, this book provides the answers. From the Gobi Desert to the Philippines, from Java to Tibet and into China itself, Brook uses the map (actually a schematic representation of China's relation to astrological heaven) to tease out the varied elements that defined this crucial period in China's history. Timothy Brook was Shaw Professor of Chinese at Oxford when he first saw the Selden Map, and he is now professor of history at the University of British Columbia. The author of eight books on Chinese history, his most widely read book is Vermeer's Hat. Mr Selden’s Map of China is published by Profile Books in hardback & eBook, priced in local currencies. Both The Song of King Gesar and Mr Selden’s Map of China are eligible for the ABB book of the Lunar Year in the Year of the Horse. See the post of Jan 30 2014 for details. If you would like to vote for either title please do so by posting a comment, or contacting asianbooksblog@gmail.com. What makes Japan tick? 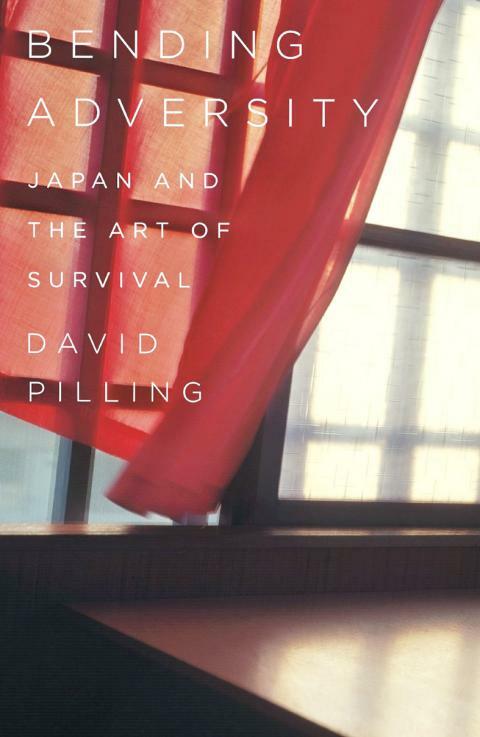 Bending Adversity: Japan and the Art of Survival, by David Pilling, confronts that question head-on. It explores the misunderstood island nation's history and culture, resilience, and significance. Japan’s shift from feudal shogunate to superpower is often overlooked as a result of China's overshadowing presence, nevertheless Japan remains the world’s third most important economy. It accounts for eight percent of global output, it is the world’s biggest creditor nation, has the second highest foreign exchange reserves, and in 2012 was vying with China as the biggest holder of American debt. Despite being the single most vulnerable nation in the world to earthquakes, and having recently suffered the catastrophic triple disaster of earthquake, tsunami and nuclear meltdown – where parts of Japan shifted 13 feet to the east and the earth was knocked off its axis, altering its spin and shortening our days – Japan has a great ability to bend adversity to its advantage. More, it is a fascinating microcosm through which to view the current global economic situation. The new monetary stimulus plan puts the United States and Europe to shame and has the potential to lift Japan out of inflation. In many ways, Pilling notes, the Western world has much to learn when it comes to Japan and its innovative people and culture. With years of experience living in Japan, and with interviews from students to government ministers to award-winning novelists, Pilling explores the country’s politics, history, culture, economics and society to get behind the relative formality and restraint of the public Japan to discover a far more anarchistic, peculiar and irrational place, which nonetheless remains one of the most vital and relevant countries today – and one whose art of survival we ignore at our cost. David Pilling is the Asia editor of the Financial Times. Previously, he was the paper’s Tokyo bureau chief. He has twice been named Best Commentator by the Society of Publishers in Asia for his columns on China, Japan, India and Pakistan. He lives in Hong Kong. Bending Adversity is published by Penguin / Allen Lane in hardback and eBook, priced in local currencies.